We’d like to introduce the new DabVac™ Deluxe Reclaim Edition by HEADDIES®, our premium water pipe adapter for concentrates. Driven by our desire for innovation, and paying close attention to customer feedback, we’ve improved on our original DabVac™ design with the new DabVac™ Deluxe: Reclaim Edition. The DabVac™ Deluxe: Reclaim Edition premiered at April’s High Times Cannabis Cup and is now available to purchase online and at stores throughout the country. 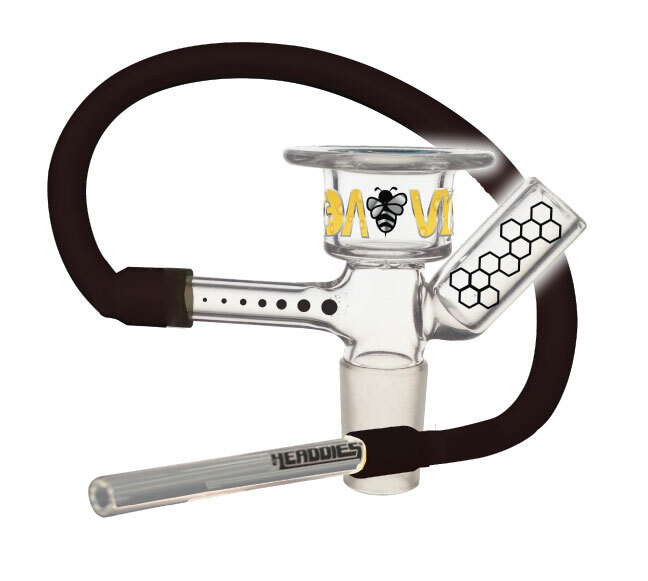 All DabVacs™ are made in America and features surgical grade latex tubing and HEADDIES® signature 22 karat gold labels. Each DabVac™ comes standard with a Quartz wand and groundless ground joints typically reserved for only high-end pieces. The DabVac™ is also equipped with a wand holder. The new wand holder doubles as a reclaim catcher so the reclaim from your product will drip down into the wand holder. After continued use apply heat to the wand and slide it into the holder to use the reclaim you have collected. The original DabVac™ will still be available for budget-conscious customers. We’re very excited to hear your thoughts and feedback about our DabVac™. Stay tuned as we continue to add to our DabVac™ line of products. 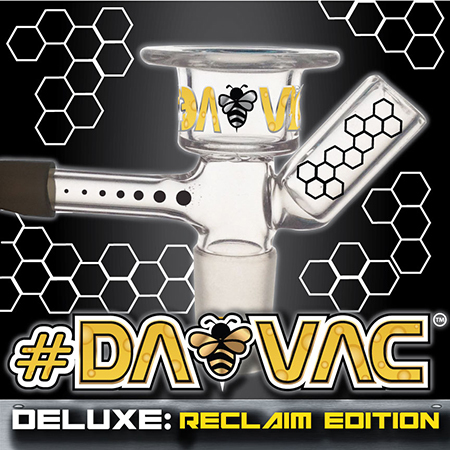 The NEW #dabvac deluxe by #headdies Has a new reclaim holster, quartz wand and #groundless ground joints… all parts and labor done right here in good ol US of A 🇺🇸 every DA🐝VAC Deluxe sold helps our glass blowers get laid!! !